Hi, My name is Hachi! 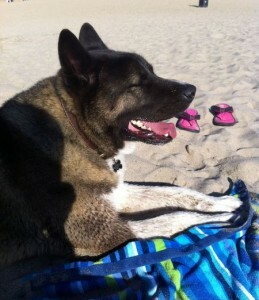 I am a black/brown/white tri-color Male American Akita Dog. I am 5 years old and weigh 125 pounds. I live in Chino Hills, California. 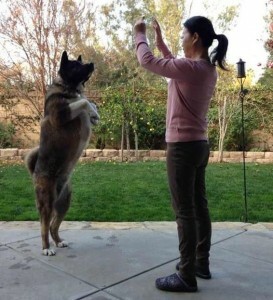 This gorgeous boy is a purebred Akita. He is just 5 years old, very healthy, neutered, up to date on his shots and well behaved. He is a very big boy, weighing 125 pounds. 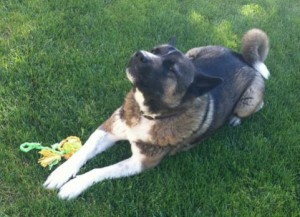 Hachi loves to go for walks, fetch his ball in the back yard and hang around with his favorite humans. He is a well-behaved, affectionate, loyal and very devoted companion. 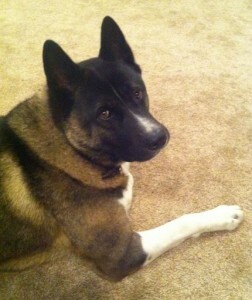 Hachi is being rehomed by his owners. They love him very much, but with their son going off to college, and plenty of international travel coming up, they simply cannot provide the time and attention that Hachi needs and deserves. They are hoping to find Hachi a new home in the greater Los Angeles are with a loving family who can give him everything he needs. Hachi’s perfect home will be with a family with their own home, a big, securely fenced back yard, and lots of time to give him exercise, attention and play time. Experience with BIG dogs would be a plus! Hachi will be rehomed with his supplies. 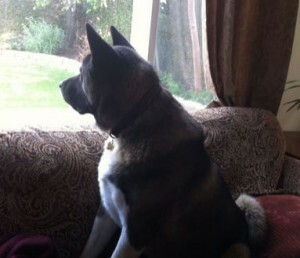 His owners would very much love to keep in touch with Hachi, and even visit on occasion. Please offer Hachi a home today. He is a very special dog, and will add lots of love, joy, laugher and companionship to the life of you and your family. https://petprosservices.com/adopt/. There is a $75 rehoming/adoption fee. Supplies will be included. Accessories Included: Dog leash ,toys . Full set of Vaccination documents . He’s very cute and loyal. Good home watching dog. Hachi’s Favorite Toys, Foods, Activities? Hachi loves balls .He likes to walk out . He would like to do anything with treats . We walk him twice a day. Why is Hachi Being Rehomed? Son goes to College .Husband and wife hhave lot of international travelling . We are looking for somebody who has experience with dealing big dogs . 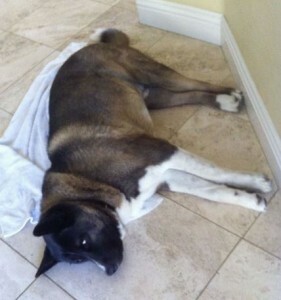 The family should have a backyard for hachi to run and stay . come over to see him .